Hours are: Monday—Friday 6:30 a.m.—4:00 p.m.
Alliance Surgical Center is a state-of-the-art ambulatory surgical center, where surgeons perform a broad range of outpatient procedures. Specialties include: Gastroenterology, General Surgery, Gynecology, Pain Management, Plastic Surgery, Orthopedics, Podiatry, and Urology. The facility is located on Rinehart Road, right off I-4. Our warm, comfortable, outpatient setting enables you to return home on the same day to recuperate in familiar surroundings. 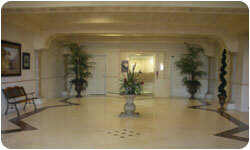 Our center offers a safe, high quality alternative to inpatient hospitalization. Fully licensed by both the State of Florida and the federal Medicare program, Alliance Surgical Center serves patients from all areas. 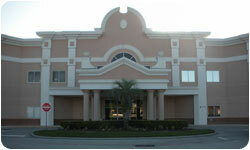 Our central location offers easy access for patients and doctors traveling from any direction. All procedures must be scheduled through your doctor’s office. Please contact Dr. Mallaiah’s office directly at 407-321-4570 or 386-789-5400 to schedule your upcoming procedure with us. Once your procedure is scheduled, we will be calling you the day before your procedure to confirm what time you need to be at the surgical center. Due to any last minute cancellations, we may be calling you to come in earlier or later than the time given to you by Dr. Mallaiah’s office. Therefore, please try to not make any plans the day of your procedure so you can be there at the appropriate time. If you are unable to keep your appointment, we ask that you please notify us at least 72 hours in advance so that the time slot can be filled. We would like to have the option to offer that opening to another patient who needs to have the procedure done. Please notify Dr. Mallaiah’s office and Alliance Surgical Center as soon as possible. This assists your doctor and Alliance Surgical Center with daily scheduling. We appreciate your courtesy. A responsible adult, licensed to operate a motor vehicle, must accompany all surgical guests to the facility and be present when the surgical guest is ready to leave to drive the guest home. Please plan to be at the surgical center for approximately 2-3 hours. Your driver does not need to wait at the facility during this time, but they must be present when it is time for you to go home.You will not be allowed to drive home after your procedure.